Tooth loss and dental decay can affect anyone in the world, but some people are at a much higher risk than others. No matter where someone is located though, there is somewhat of a global burden of disease. Tooth loss has socioeconomic roots and effects that influence everyone in the world. Even in places such as Britain, more than half to three quarters of children and adults are affected to some degree. In Asian and Latin American countries, it is a major issue. For African countries, it is thought that the incidence of dental caries is going to continue to increase, partially since there is poor exposure to fluoride, which is shown to reduce tooth decay. Experts cite that environmental and socioeconomic conditions all affect dental health and oral diseases. The lifestyle in a country will reflect the pattern of dental decay and associated problems. For some of the industrialised countries, tooth decay is slowly going down but those who are elderly continue to experience high rates of decay and tooth loss. A problem with treating these issues is that in developing and third world countries, there is such limited access to basic needs, let alone dental care. Teeth will be left as they are to decay and fall out while some are extracted due to intense pain experienced by the sufferer. As a result, the person is left to deal with poor oral functioning and may have difficulty chewing food. For industrialised countries, tobacco use is strongly linked to dental decay and tooth loss. Major periodontal disease is seen in anywhere from five to fifteen percent of the vast majority of populations. As smoking rates are rising in developing countries, it is expected that the number of people who suffer related problems will significantly rise as well. Oral cancers will also continue to rise as a result of tobacco use. It is particularly prevalent in men and in places such as Asia, tobacco consumption is high as is oral cancer. 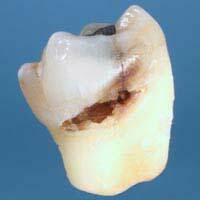 Tooth loss remains a major problem for smokers and those who chew tobacco. Diabetes is another health condition linked to tooth loss and oral problems. As rates in industrialised and developing countries rise, these issues will become even more significant. People who have diabetes and live in developing countries tend not to have sufficient access to the preventative dental care they need to keep tooth loss at bay. In a recent report from the World Health Organisation (WHO), concern was drawn specifically to those who live in developing nations around the world. Diseases and conditions that lead to tooth loss are impacting the health and well-being of people in these countries. WHO hopes to draw more attention to these issues through media education that covers schools, diet and the benefits of fluoride. While many people in Britain neglect their oral health and suffer from tooth loss as a result, they can at least feel fortunate that they have reasonable access to a dentist. Economic challenges still exist in Britain for some people but compared to developing nations, these are less widespread. Hopefully we can find successful ways to provide education and resources to help people around the world address their oral health needs as well as the diseases and practices that put them at a higher risk of dental decay and tooth loss.